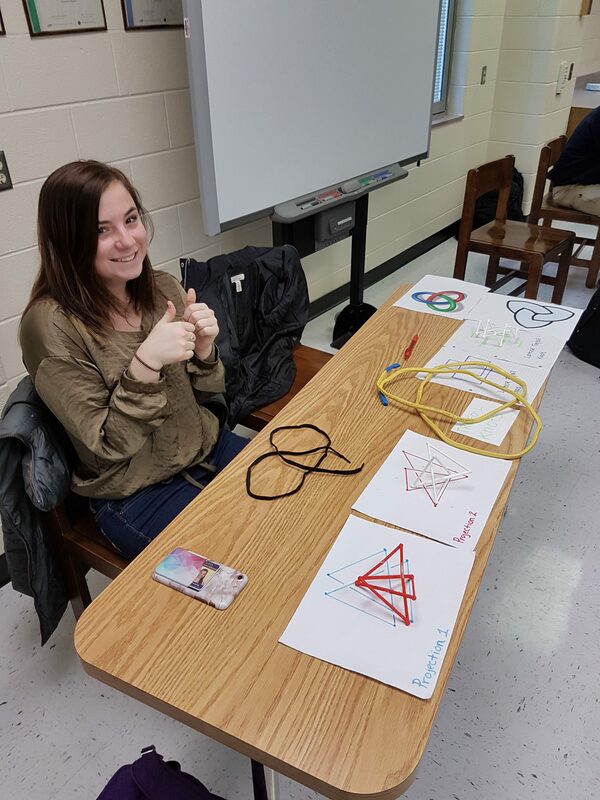 We had a great experience showcasing our project about the trefoil knot to different students, classmates and professors. 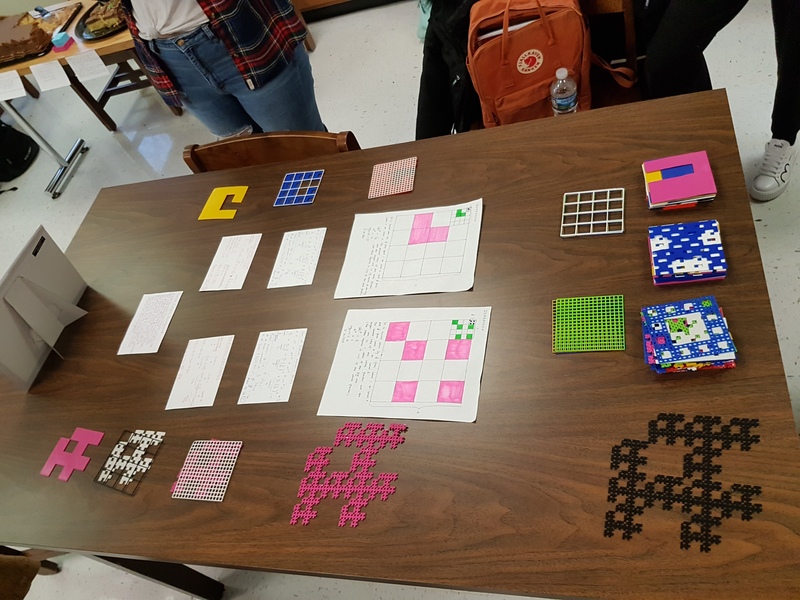 We brought our traced projections and some extra pictures of the trefoil knot to the showcase so that people would be able to visualize our object better. In addition to that, we got a shoelace and a wire to demonstrate to people how the trefoil is formed with three crossings. We explained how mathematicians study the projections of from the 3D model and derive the 3D model itself from the shadow projections. 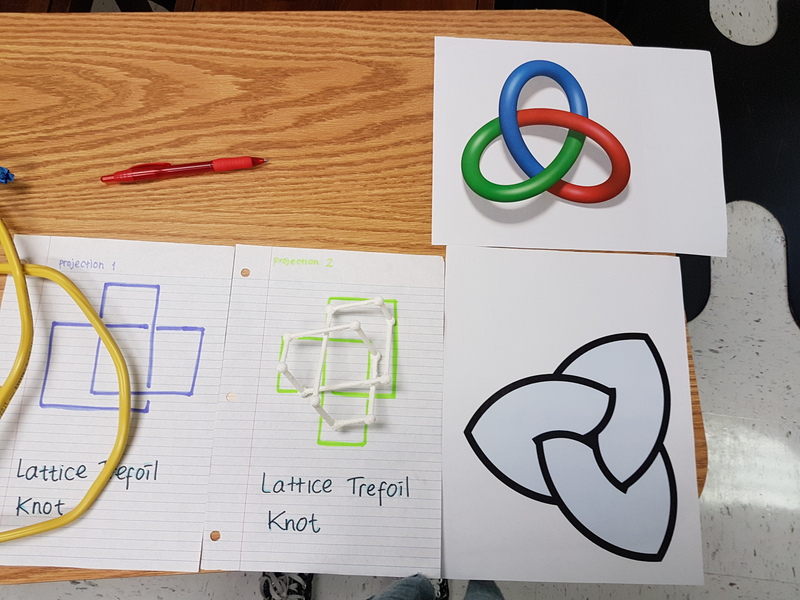 We explained the difference between our two different kind trefoil knot, one of them is the lattice trefoil knot, which is the more rectangular one and the stick trefoil knot, which is the triangular one. Both of the produced unique shadow projections as shown in the picture above and below. We also looked at other group’s project, and they were all very interesting. The project that we captured our attention the most was when we came across the collection of carpet fractals once and also the Rhombicuboctahedron. There are so many combinations of different carpet fractals, each of them unique with their own area calculation. 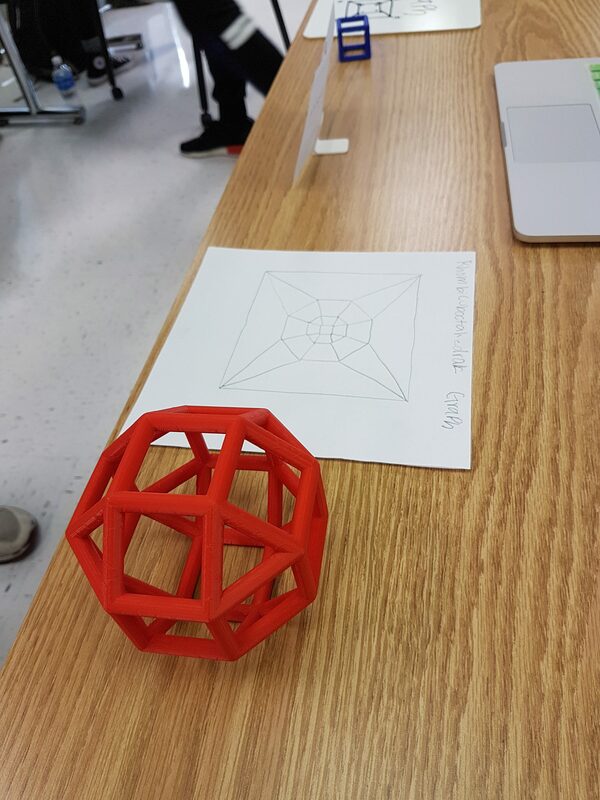 It was very cool to see how the group made the Rhombicuboctahedron, since they designed it on openscad and how their group also explores graph theory.